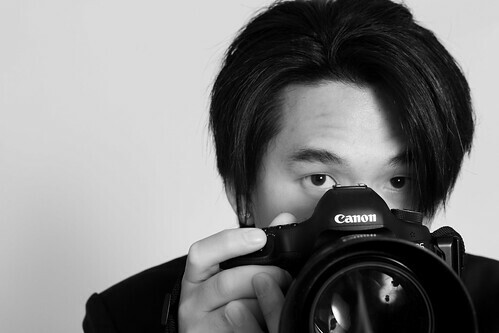 Born in Glendale, California and currently based in Los Angeles, CA, Jerick (JD) Dizon, has over 8 years of professional experience in various types of photography, from headshots to editorials, to fashion, to events and everything in between. What sets him apart from the rest is his sense of balance. "Photography has taught me that everything we do in life is based upon the concepts of balance and compensation. I used to look at my lack of resources as a weakness until I started to learn how to work with what I have, I became resourceful. Now I consider it a quality that makes me different. Rather than compensate my creativity with money (that I don't have) and spend it on equipment that does the work for me, I come up with creative and effective ways to compensate for it." According to JD, the shoot does not start with the first click of the shutter, but at the first meeting of a potential client. " Good chemistry is vital for any shoot. I always try to find some kind of common ground and make that connection so that the client is comfortable with all aspects of the shoot, on and off the camera, this helps tremendously with the authenticity of the photos." Coming from a very tightly knit and supportive group of family and friends, he is constantly surrounded by people who feed him positive energy to help him accomplish his goals. " I can't begin to express my gratitude towards my friends and especially my family who have given me non-stop support since day one. Being in a family that isn't very artistic, it's quite unbelievable that one's family would support that member's artistic ambitions and dreams without any hesitation but what can I say? That's my family....."Unbelievable"." For booking and other inquiries please feel free to contact JD.